Luxurious soft cotton cover made with all natural materials. This beautiful quilt offers the luxury of breathable and soft cotton. 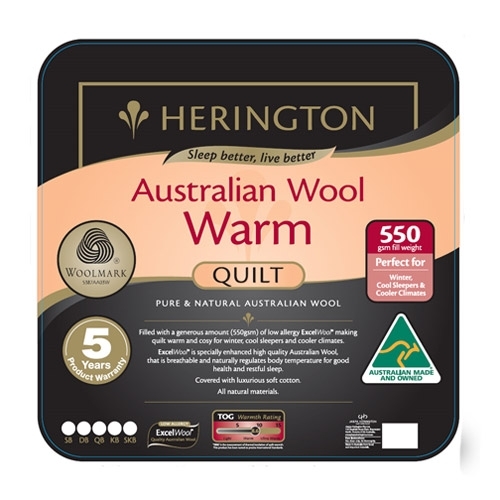 Filled with a generous amount (550gsm) of low allergy ExcelWool making quilt warm and cosy for winter, cool sleepers and cooler climates. Filled with of ExcelWool - is specially enhanced high quality Australian Wool, that is breathable and naturally regulates body temperature for good health and restful sleep.